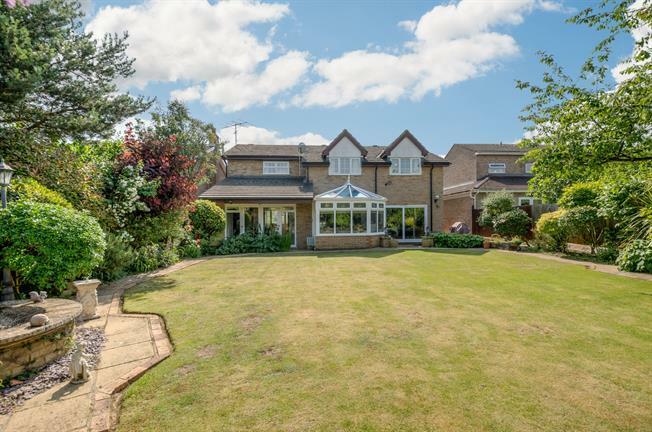 6 Bedroom Detached House For Sale in Bedford for Guide Price £700,000. Offering approximately 2500 sq.ft. Of accommodation sits this substantial, versatile and well situated family home. With accommodation set over two floors the property offers entrance hall, downstairs shower room, three reception rooms, conservatory, kitchen diner and utility room to the ground floor as well as integral access to the double garage. Upstairs there are six rooms with five currently being utilised as bedrooms and a further study, family bathroom and ensuite facilities to the master bedroom. Outside the property offers off road parking for several cars, double garage and gated side access. The rear garden is well maintained and mostly laid to lawn with patio area, mature borders and not is particularly overlooked.